numbers of any slabs you like, or take photos of them to help you remember what your selections look like. 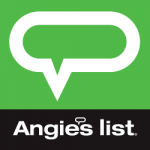 If you already know what you’re looking for, such as a particular color or material, let the assistant know so they can direct you to the aisle you need. When selecting your slab, it helps to bring any other elements of your project you’ve already decided on, for example, a cabinet door sample, floor tile or backsplash sample. Our locations offer paint charts and some have cabinet samples to help you with this, if you want to view your selected slab alongside various other color choices to make sure the colors work. If you’re choosing a natural stone for your project, such as granite, marble, onyx, quartzite, limestone or travertine, it’s best to view the actual slab you want to use. 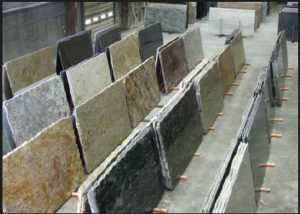 This is because each slab of natural stone is unique, so the appearance can vary a little from the slab at the front of the bundle. If you see something you like and want to view a specific slab, you will often need to make an appointment. This is because the slabs are very heavy and need to be moved using fork lift trucks by our experienced warehouse crew. Of course, if we can, we accommodate requests for this without an appointment. When selecting the best material for your project, there are several factors to consider. Assistants are able to advise you on which material choices work best for certain applications, such as fireplaces, countertops, vanities, walls, flooring etc. In addition to this, you may want to consider how much upkeep you’re willing to do after the slab is installed. Surface choices such as quartz and granite don’t require much maintenance. If you select a stone such as marble or soapstone for a high-traffic area like a kitchen, you need to be aware that they need more care and the appearance of the stone will change over time with wear and tear. Many people love the patina that develops with the “lived in” feel, but this is worth spending time thinking about so that you know what to expect.